Learn how to paddle waterfalls. Sculpted by the forces of nature. Hot springs, geysers, boiling mudpits and lots of magnificent waterfalls. This is some of what will greet you on your visit to Iceland. 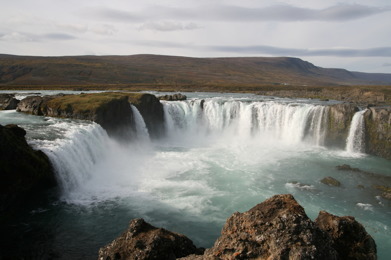 Book your waterfalls course to Iceland here! 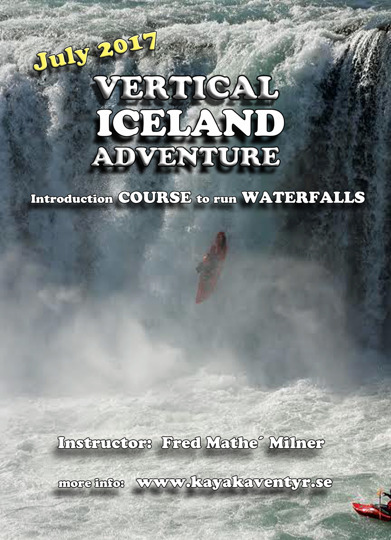 The course is an introduction to kayaking waterfalls. It´s for you who wants to learn the basics in vertical kayaking, wether you have paddled down waterfalls before or not. We develope your skills to kayak waterfalls in a safe and controlled matter. Identify problems and possible lines. Develope a correct technique to minimize the risk of injuries. Angle and positon when landing. You are comfortable in whitewater class III/IV. Previously experience of kayaking waterfalls is not necessery. Pick up from the airport, settle in. A five days introduction course in kayaking waterfalls. Grand finale, kayak thewaterfall Goðafoss. Back to airport, journey home. Shuttle to and from the Akureyri airport, northern Iceland. Shuttle between rivers and accommodation. Loan of a whitewater kayak during the course. Flightticket to and from Akureyri. Personal whitewater gear (drysuit, helmet, lifevest, spraydeck, throwbag). Last day of booking: 31 March. Last day of payment in full: 15 April. The course requires a minimum number of participants.